Ports, Waterways and Levees – the Voice of MWRA: Are rivers wasted water? He’s talking about tears being wasted water but some folks make the same argument about rivers flowing into the sea. Just think of how we might use the Mississippi River’s billions upon billions of gallons in productive ways. A prominent engineer once praised the idea of diverting some of the Mississippi’s flow and conveying it along the Interstate 20 median to thirsty west Texas. “We could make the desert bloom!” he cried, “Instead of wasting it into the Gulf.” Growing flowers instead of growing the Gulf’s hypoxic zone. But is it really wasted? 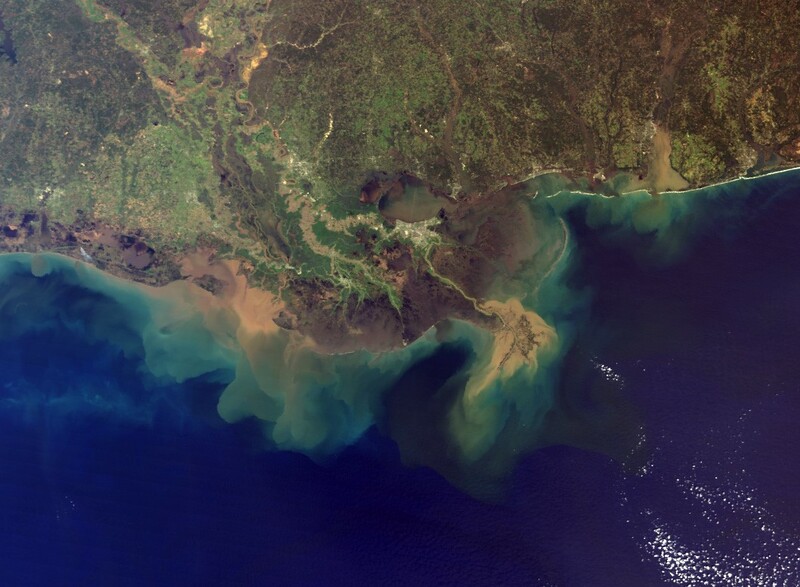 Large chunks of Louisiana are already sinking into the sea because the Mississippi River’s sediment supply has fallen drastically. Without fresh water to sustain them, those Louisiana and Mississippi marshes would disappear even faster. Without fresh water the vast coastal nurseries for shrimp, oysters, finfish, and other creatures would become too salty and our already stressed Gulf fisheries would collapse. Without the river’s huge flow, multiple cities in Louisiana would lose their only source of water for cities and industries. Those are some steep costs to make west Texas bloom. Pick your depiction: Dams on rivers provide flood damage reduction, water supply, recreation, navigation, power generation, and desirable home sites; or dams on rivers turn lovely, flowing streams into unsightly mud puddles, prevent fish migration, drown beautiful valleys, destroy ecosystems, and endanger everyone downstream. Unfortunately, seeing only one of these two extremes is typical of the debate. Some people see only benefits of capturing river flows; others see only losses, and arguments between them generate lots of heat but very little useful light. · Harnessing rivers through dams and diversions has both advantages and disadvantages. · Advantages may include economic, environmental, aesthetic, and social benefits. · Disadvantages may include economic, environmental, aesthetic, and social losses. · A calm discussion of the advantages and the disadvantages is needed to decide which outweighs the other for a majority of our people, now and in the future. · Shouting slogans at each other prevents a meaningful discussion. NASA Terra Satellite Photo of the Mississippi River plume and nearby coastlines. Courtesy of National Aeronautics and Space Administration (NASA).